Happy Friday, friends. Did everyone have a great week?! This past Monday, I photographed my first recipe for the blog and I can’t wait to share it with you oh so soon. The photos turned out so beautifully + it was absolutely delicious!! But in the meantime, I’m kicking off my Christmas gift guides (I hope to do four in total) and I absolutely love putting them together. 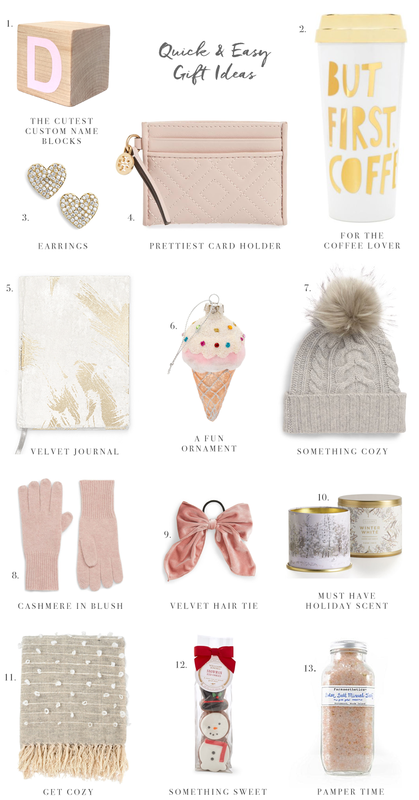 Whether, I’m visiting a girlfriend, client, or a relative over the holidays… I love bringing a little something and these items would be perfect for such an occasion! !